Description First and only printing in 1957 at 4/-d.
No reprint was ever catalogued. Large stocks passed down the line to the Watford Model Supply Co. in 1971. 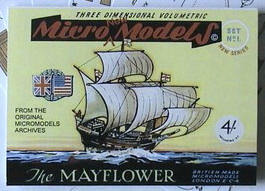 This was the last published Micromodel and was released after Heighway sold the Company. 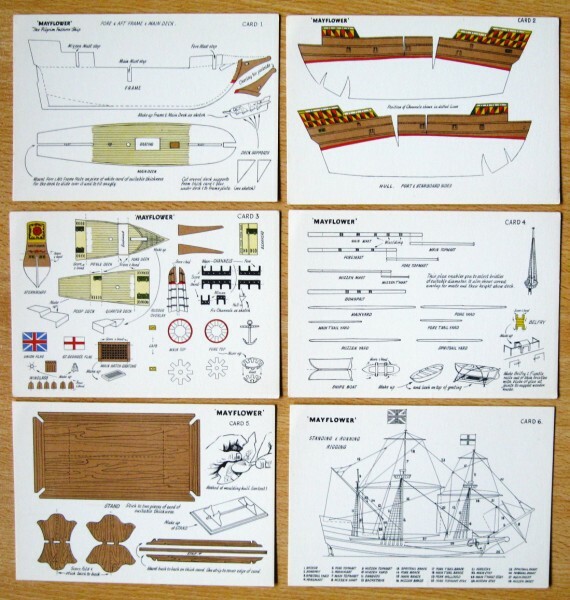 It is utilising the artwork of the unpublished S VIII Mayflower. 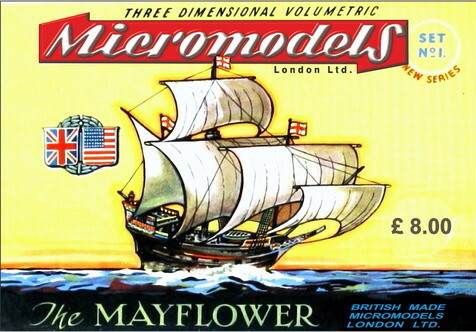 This is the second Micromodel of the Mayflower, the first is contained in S I Six Little Ships & Galleons. The wrapper carries a logo showing joined US and British flags. Here again we can see Heighway designing a model to coincide with a topical event. 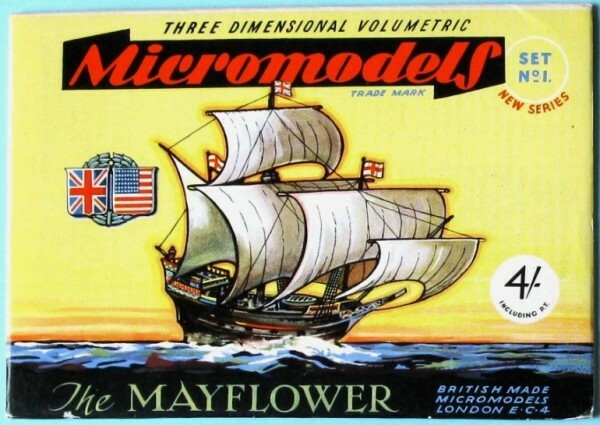 In this case it was the voyage of a full scale model of the Mayflower from England to the United States. Autocraft also published this model. Micromodels London has designed a wrapper, and has the intention to publish the model in the near future.